Join us as we celebrate 25 wonderful years of Qwire! Dine on a sumptuous 3 course buffet. Dance to the fantastic sounds of 'In Full Swing'. 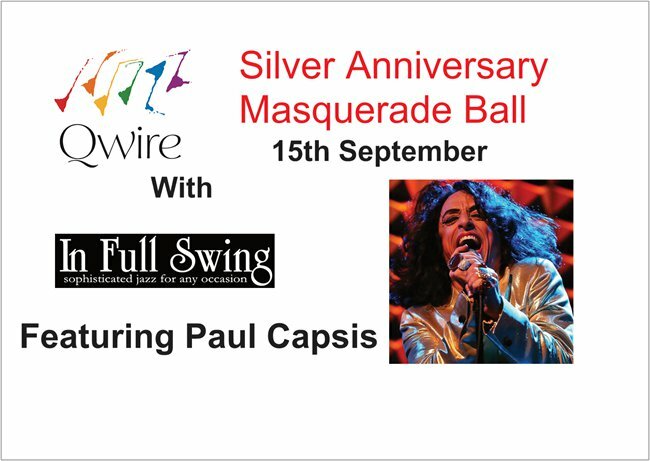 Featuring the fabulous Paul Capsis this will be a night to remember. So put on your glad rags and mask up for an unforgettable night.